In today’s high-paced world, the hospitality industry is adapting to meet the needs of multiple generations. While boomers are entering their retirement years and seek extraordinary service experiences, millennials are bringing their own expectations for equality, support and fairness into the workforce. Although generation gaps can be a challenge, there are also opportunities for hospitality operators to differentiate not only on service and product, but on how they lead and invest in their teams. Many industries are adapting to these new workplace demographics, with the service-focused hospitality and tourism sector leading these changes by focusing on the core strength of their teams. Modern terms have emerged such as “human capital”, “people resources” and “talent strategy” which demonstrate not only the importance of their teams, but how our sector must continually invest in their team-members. Talent management is the solution for our growing industry, where labour shortages will increase substantially in years to come. Employers who are change agents will lead by investing in talent recruitment, management and retention strategies supporting the needs of the modern workforce which include youth, an aging population and newcomers. This investment comes in many forms, including training, competitive wages, career planning and other creative incentives which engage their teams. In addition, today’s youth expect recognition, transparency, and upwards mobility. So how will employers adapt to this new paradigm? With wage rates set to rise in Ontario, among other provinces including Alberta and British Columbia this fall, employers will need to be more progressive in their recruitment strategies, while operating efficiently to offset increased payroll costs. In a recently prepared “State of the Industry” prepared by OTEC, Hospitality and Tourism operators from across the province shared stories reflecting the challenges our sector is experiencing with recruitment. Hotelier magazine recently published an article identifying how only a select few employers are becoming creative with their employment and retention strategies. Employers are invited to join the ALiGN Network and receive a free copy of the report Click here to learn more about Employers. a. Recruit from a pre-qualified candidate pool such as the ALiGN Network. Not only does ALiGN identify natural fit, the network includes pre-employment training and industry recognized national certifications. b. Competitive Wages: A tried and tested strategy which few employers are using, despite record growth in the hospitality and tourism sector. c. Creative Incentives: including retention bonuses, mental health, EAPs and other employee support programs. a. Employee training, in addition to pre-employment programs is an invaluable investment. Successfull employers understand what happens if they don’t invest in training. This includes management training. Consider investing in programs such as OTEC’s LX series. The LX Leadership Bootcamp is designed for new and emerging leaders and is an innovative two day program which will equip new leaders with the emotional intelligence, leadership and team skills they need to be successful in the work place. b. Employees demand Recognition! In addition to employee of the month and recognition within their peer groups, they want tangible feedback on how they can accelerate within the organization. Forms of intrinsic motivation which place emphasis on their value to the team and enhance their career trajectory are sure-fire ways to engage team-members. a. Career planning within the organization is often on the minds of hiring managers, but how about considering a candidate’s career path beyond the organization? Would you invest in an employee for their benefit in the long term? Many employers would say ‘No way!’ However intelligent employers and youth are thinking about this from day one. If you invest in their long term, think about the present term benefits for both you as the employer and your valued employee. b. Transparency is critical in the modern, social media driven age. Both employees and customers seek transparency. But what does it mean to you as an employer? Are you being honest with your team? Are you making the right decisions which have the best possible impact on the organization or are you thinking short term and what is better for the bottom line this quarter? Employer Intelligence: If you are an employer struggling to retain or find the right talent, connect with the ALiGN Network . How can you invest in your team? A series of leadership webinars and a full-service program applying the foundation of emotional intelligence to provide concierge type service skills round out our Intelligence for Youth Workplace Success toolbox . Stay tuned for more information! Coming up later in August, Intelligence for Leadership Success! Register for O-News here today to receive our latest updates! OTEC has always prided itself in the diversity of individuals, organizations and employers we support. Read more in our O-News about how OTEC brings Intelligence to the Workplace and how we focus on the diversity of our youth - the next generation of workers. Click here learn more about OTEC’s Youth focused programs! Emmanuel is OTEC’s Manager of Workforce Development and Industry Partnerships. He enjoys hiking throughout and exploring Ontario with his family and loves back-country camping in all seasons. In his spare time between shuttling his kids to activities and working with OTEC he spends time with his wife and loved ones in Toronto. He can be reached by email: erey@otec.org or connect with him through linkedIn. One in three women will experience sexual assault in her lifetime. Everyone, whether they are aware of it or not, knows someone who has been affected by sexual assault and violence. These alarming statistics have raised an urgent call to action: to end sexual violence. In 2015, the Government of Ontario responded to this issue and released “It’s Never Okay: An Action Plan to Stop Sexual Violence and Harassment.” Beginning with the introduction of legislation to strengthen provisions related to sexual violence, and updating curriculum for youth to better understand consent, to providing free legal advice to victims, the plan has 13 commitments to prevent sexual violence and harassment across Ontario. One specific commitment the government is delivering on is the development of training for workers in the hospitality sector to empower them and help when they encounter high-risk situations. The hospitality sector employs approximately 450,000 individuals in Ontario and many are frontline workers in restaurants, bars, hotels and motels who are in a position to intervene in sexually violent situations. The sector also includes a large number of youth, females and newcomers who are also vulnerable to sexual violence and harassment in the workplace. The Ontario Restaurant Hotel & Motel Association (ORHMA) in partnership with OTEC and Tourism HR Canada are developing an advanced training and awareness program to prevent sexual violence in the hospitality industry, called “It’s Your Shift.” With the proper training and resources, managers will learn how to support their frontline teams to cultivate a safe work environment and support survivors of sexual violence and harassment. 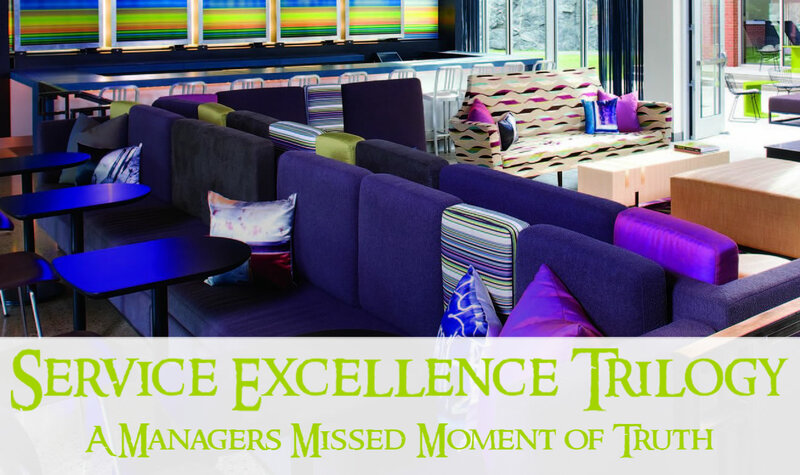 If you are a manager or are working in the hospitality industry, how can you get involved? Starting September 2017, the “It’s Your Shift” training and awareness program will be available to all hospitality businesses, workers and students. By taking this training, or incorporating it into your workplace training program, you have the opportunity to become a leader in ensuring patron and workplace safety, and ultimately, diminishing sexual violence. Jamie is OTEC’s Marketing and Communications Coordinator. Jamie enjoys travelling, exploring Toronto's culinary scene and spending time with her friends and family. During the cold months of winter, many travellers are planning vacations and looking for new adventures to share together. Out of the multitude of travel options, how can you attract visitors to your destination? To assist you in identifying all the contributing factors to a destinations' appeal, OTEC is sharing five useful tips on how you can make your destination unforgettable – in the best way possible. Some of us have instinctive leadership qualities. Most of us have to learn how to lead especially when we are moving from a supervisory, or manager role, to a leadership position. This is happening at a faster rate than ever as organizations shorten the span of their succession planning to deal with labour shortages, business demands and growth. The process OTEC advocates for emerging leaders is a highly personal journey as a bridge to professional success. By assessing your own current skill sets, you are able to quickly and succinctly see where you may be behaving more like a manager and less like a leader. Understanding the functional differences between leading and managing helps you access the gaps between where you are now, and where you need to be in your organization as a leader. This process serves to create the foundation for your own measurable leadership growth and development. When analyzing your strengths, we use the image of a bike. To move forward efficiently and effectively requires a balanced approach. The front wheel of the bike is used to steer and direct requiring people skills. The back wheel drives and powers forward movement requiring process skills. Many supervisors, or managers, are task driven, focused on process. To mobilize a department or an organization in the right direction to achieve the vision, requires steering or people skills. No matter age, demographics, culture, or the industry you represent be it finance, health care, technology, education, tourism, hospitality or as an entrepreneur, our experience at OTEC has shown time and again, at the core of every leadership journey lies self-knowledge (or emotional intelligence), integrity and trust. It’s a personal journey and a process that will renew creativity and vision for yourself, your team, your department and your organization. OTEC’s LX Leadership Xelerator Series can help navigate you or your team through this journey and ultimately, assist in achieving the goals you want to achieve. Managing and leading are not mutually exclusive. You cannot have one without the other. For new managers, it is just as important to know how to lead people as it is to understand all of the processes. Do you have the mindset of a leader? What steps can you take to better lead your team? In this blog series, we’ll share some stories and antidotes for you as an employee or a leader trying to make things better by implementing and navigating positive change. We hope you’ll join us and take what you need for your own story. With Halloween quickly approaching, the air is filled with tricks, treats, potions and spells. For some organizations, the air is also filled with promotions, changes and new management. At OTEC, we have conjured up an undeniable Witch’s Brew to create a perfect leader for your organization. In a large bowl, mix in 2 teaspoons of Listening Skills, 1 pinch of the Ability to Identify Communication Skills and 1 cup of Adaptability. Mix vigorously until your Communication Skills are clear and understood. In a small pot, pour ¼ cup of Self Awareness and bring to a boil. Once boiling, add in ¼ cup Self Management. Whisk together. Add in ¼ cup Social Awareness and ¼ cup Social Management. Continuing whisking until smooth. Finely dice 1 head of Awareness and stir it slowly with 2 cups of Capability. Once blended, add in a handful of Willingness. Slowly stir while adding in drops of Integrity extract until the mixture is strong. To properly build team excellence, you must wait for a full moon and create a Life Cycle of an Effective Team. In a clear glass, add in 4 equal parts of Forming, Storming, Norming and Performing. Cover and let it sit overnight. Once your Life Cycle is ready, blend in the 4 elements of Trust; Straight Forwardness, Acceptance, Openness and Reliability. In a small pan, add in 1 cup of minced Adult Learning skills. Lightly season with Just-In-time Training techniques and broil for 10 minutes. Serve in bite-size potions. Steam 1 cup of Coaching Benefits over an open flame until the Myths of Coaching have been removed. In a small bowl, mix together ½ cup Formal Coaching Sessions, ½ cup Informal Coaching sessions and a jar of the 3 Step Coaching Process. Add all of the ingredients together and knead until consistent and smooth. Once you have all the ingredients prepared, pour them all into a giant cauldron and brew for 4 hours. Pour the finished product into a witch’s cup. Have your managers or supervisors drink at least 1 cup and watch them transform into exceptional leaders. Some of these ingredients may be difficult to find or, you may not have the utensils to conjure up this brew. Luckily, OTEC is offering a brand new 3-Day Leadership Boot Camp that is formulated to develop these qualities in new and emerging leaders. OTEC’s LX Leadership Boot Camp focuses on the vital role managers and supervisors play in leading teams to develop and perform successfully in the workplace. It is designed to provide new and existing leaders with the latest theories, practices and tools to develop their leadership skills utilizing the most up-to-date leadership strategies. OTEC also offers half day and full day LX workshops, and can bring leadership training to your organization. Evolve, strengthen and inspire new and emerging leaders in only three days. To learn more, click here. For years, a strong measurement of intelligence was testing our Intellectual Quotient (IQ). Our IQ measures our cognitive abilities and our book smarts. While IQ is an important factor, as much as 80% of adult “success” actually comes from having a high quotient of Emotional Intelligence (EQ). Self Awareness – the conscious ability to know exactly what I am feeling in any given time, such as happy, sad, angry. Self Management – the ability to conduct myself in an appropriate manner and not let my emotions take control of my behaviour. Social Awareness – the knowledge to tune in to the emotional stance of the people around me based on the situation in which we are in. Social Management – the ability to manage the emotions of others around me to keep situations focused and show appropriate behaviour. In today’s business world, it is very important for leaders to understand, manage and leverage emotional intelligence. At OTEC, we have introduced our new LX Leadership Xelerator series that provides companies with an opportunity to develop their new or high potential leaders through a series of focused leadership skills-building workshops. One workshop within this series is Leading with Emotional Intelligence, a dynamic half day program that enhances leadership and management effectiveness by increasing EQ skills and knowledge. By attending the LX workshops, we give participants the opportunity to interact with other leaders and to learn the skills to become effective leaders. Janet Morrison is OTEC's Director, Learning & Leadership Excellence responsible for directing the design, development and delivery of OTEC learning programs. She enjoys country living, culinary experiences and life-long learning. Celebrating National Aboriginal Day: how can you get involved? On June 21, embrace the vibrant cultures, history and achievements of Métis, Inuit and First Nations peoples in Canada. National Aboriginal Day, celebrating its 20 year anniversary, is a day for all Canadians to recognize the unique heritage and traditions of each of these three groups. National Aboriginal day was announced in 1996 by former Governor General, Romeo LeBlanc, through the consultations and statements of support from various Indigenous groups. The date June 21 was chosen with connection to the summer solstice. Many Indigenous peoples and communities celebrate their heritage during the summer solstice due to the fact it is the longest day of the year. The Summer Solstice Aboriginal Arts Festival is a family-oriented multi-disciplinary arts festival that began in 2008, and attracts over 45,000 visitors a year. It includes a powwow, mainstage, interactive arts and a multitude of food and art vendors. This event stays true to diversity each year, including headliners and workshop leaders from the Métis, Inuit and First Nations communities. Located in downtown Toronto, The Indigenous Arts Festival celebrates traditional and contemporary music, arts, vendors and food created by indigenous artists. Featuring incredible artists such as Juno Award winner Leela Gilday, this event is presented by Fort York and the Mississaugas of the New Credit First Nation. Tuesday, June 21 starting at 10 a.m. – 3 p.m.
A free event for all ages. Hosted by the Métis Nation of Ontario, this celebration has many activities including a health fair, music, singing, crafts, canoe rides and more. Tuesday, June 21 starting at 1 p.m. – 3 p.m.
Join the Métis Nation of Ontario on the traditional site of Mudtown. Celebrate National Aboriginal Day with smudging, drumming, games and a poetry reading about Owen Sound’s Metis history. Sainte-Marie will offer First Nations singing, drumming and dancing. First Nations displays and demonstrations include kid’s heritage crafts, waterway and lacrosse demonstrations, Native crafters, and more. Restaurant Sainte-Marie will offer a special themed menu, providing delicious original recipes including “Three Sisters Soup” made from corn, beans, and squash. Thursday, June 23, starting at 12 p.m. – 8 p.m.
Hosting its 7th annual Aboriginal History Month Celebration at Yonge & Dundas Square, this celebration has an exciting line-up including a powwow dance performance, youth talent show, fashion show, craft vendors and a performance by Blackstone. Can’t take part in the action but still want to be involved in the conversation? Follow and use #NADCanada online to participate! For the past 10 years, OTEC has partnered with various aboriginal communities across Ontario to provide culturally relevant skills training, develop the workforce and positively reshape our province’s future for indigenous tourism. Some of our partners include the Métis Nation of Ontario, Aboriginal Experiences, Arts & Culture, Seven Generations Education Institution and Great Spirit Circle Trail. Everyday increasing numbers of organizations are investing in social media. Over the next 5 years social media budgets are expected to more than double. According to Forbes over 66% of marketers claim that social media indirectly impacts their business performance but only 9% claim that it can be directly linked to revenue. So that begs the question, does social media actually affect a company’s bottom line? What makes an effective leader? As an organization focused on leadership development, this is a question that we, at OTEC, are often asked. This is usually followed by, what programs do you have that can teach me to become an effective leader? When it comes to leadership these questions are not as straightforward as you may think. Our popular Designated Trainer Program is dedicated solely to preparing trainers with a solid understanding of adult learning basics and tips for developing a learner-centric environment in order to effectively deliver Service Excellence training to their teams’. Recognizing the importance of having strong, effective and knowledgeable in-house trainers, participants in our Designated Trainer Program grew from mainly hospitality and tourism to a plethora of industries. In response to the growing interest of our clients to develop the skills of their in-house and on-the-job trainers, our team of specialists have developed a more holistic training program. OTEC is pleased to announce the launch of our new “Training and Facilitation Excellence Program”. This new program is designed specifically for clients looking to develop professional workplace training skills including program facilitation and on-the-job training. Not only do participants walk away with the knowledge and skills to create and lead a classroom of adult learners in educational programs ranging from corporate training to workplace skills training, but they hone their skills by presenting content from their own organization. What is the benefit for businesses? There are many societal problems that the Canadian population struggles to overcome - employment, financial stability, education, inequality… Individuals are largely looking to the government to effect the change needed to combat these issues, however, what is often ignored, is the power of initiating change from the community level. By building relationships and skills, empowering individuals and groups, and using this wealth of knowledge and experience, change will happen within the community. While working at OTEC, I have had the chance to attend advisory committee meetings, program graduations, and plan for next steps with a number of OTEC’s community development project partners. These opportunities always reinforce the successes and immense impacts that these projects have at both the individual and community level. This is because community-based development projects can have a large impact ranging from individuals, to organizations, to entire community networks and can result in creation of new opportunities. Over the past few years I have had the opportunity to work in partnership with several Aboriginal groups including the Métis Nation of Ontario on a project that provided Aboriginal people looking for a career in tourism and hospitality with industry-specific skills training. The impact of this project is straight-forward; it provides participants with additional marketable skills and experience to become active members of the workforce and helps to overcome the high rates of unemployment throughout Ontario. For one program graduate, Justin, the training not only provided him with great skills but enabled him to work with facilitators to determine his true career passion; not working in housekeeping (which he was originally pursuing), but as an Event Coordinator working with performing arts and music. What is not obvious is the impact this project has had throughout the community. I’d like to use Justin’s experience to provide a hands-on example of what I mean when I refer to “Creating Opportunities through Community Connections – the People, the Jobs, and everything in between”. Justin participated in the 22-week Navigating Employment Pathways (NEP) program in Midland after handing out over 200 resumes and only receiving 1 interview. He was disappointed in his job search and was having difficulty moving past the discouragement of this effort. Upon applying to the NEP program, Justin chose Housekeeping as his occupation of choice. After some conversations, personality tests, and job shadowing, it was determined that Justin’s ideal career path was as an Event Coordinator in the performing Arts. He was connected with community stakeholders and gained employment with the Midland Cultural Centre. Using his passion for the arts, and his own personal network of artists, he proposed an innovative event to the Midland Cultural Centre. The event was selected and was very successful, bringing economic benefits to the city and raising awareness of the arts, as well as providing exposure to many budding artists, within the community. In his active work placement Justin also had the opportunity to expand his network with a variety of artists and community members, and continues to help with the planning and delivery of local special events. Justin’s participation in the NEP program went above and beyond attending the training and gaining the skills, certifications and confidence to be an effective member of the workforce. His experience with the program initiated a grassroots campaign connecting a variety of dispersed components and creating new opportunities including partnerships, agreements, and associations for individuals, organizations and networks within the community. It is important to recognize that change does not have to come from the top, but begins at the ground level. Regardless of where it begins, change requires collective action to generate solutions to common problems. OTEC is proud of the work it accomplishes through its valued partnerships across the province and we are even prouder of the community connections that we facilitate through our pre-employment training projects. To learn more about OTEC’s work with the community, click here. Kim is OTEC’s Manager of Consulting and Partnership Projects. She is responsible for developing and managing workforce training and consulting projects across Ontario. In her spare time Kim enjoys spending time with friends and family, exploring Toronto’s culinary scene, relaxing up North and cheering for the Buffalo Bills in support of her Buffalonian husband. Many years ago (and I mean many, many years ago) I was hired for an interesting and exciting summer job at Queen’s Park in Toronto. I learned all about this great Province, what there is to see, activities to do, where to stay, events to attend, what natural attractions draw visitors from far and wide, and what sets Ontario apart from other destinations in this world. This knowledge was essential as my Travel Counsellor role with the Ontario Ministry of Tourism was to help visitors plan their perfect vacation in Ontario and to ensure they made it their destination of choice over all the other options they have for their holiday. Seems like a daunting task, but I was provided with the training, site inspections, familiarization trips, and the resources to ensure that I had the knowledge and competency to confidently match the visitors needs with what our Province offers. It was wonderful knowing that I could make a difference in a family’s vacation experience, or an international visitors’ first experience in Canada. After all, I was, and still am proud of my country and all it has to offer and I wanted visitors to have the experience of a lifetime! Interestingly, this first job in the tourism industry formed the foundation of my career and instilled in me the importance of the visitor experience in a destination’s success. While not everyone can be a Travel Counsellor, most can be Tourism Ambassadors, whether they work in the industry, are a volunteer, or even a resident. I have learned that the interactions a visitor has in a destination, whether at a restaurant, attraction, hotel, gas station, store, airport, or event, can leave a lasting impression and determine whether they have a truly memorable experience. Tourism Ambassadors are the champions and the “brand personality” of a destination. Unfortunately, too many destinations spend large budgets to develop and promote a brand, and to draw visitors to that destination, only to have the visitor experience fail due to the lack of product knowledge and service skills by those who the visitor engages with during their stay. At OTEC, we have been fortunate to work with innovative destinations that understand the power of people in their brand marketing. Their success comes from the thousands of individuals and businesses who have become Tourism Ambassadors for their region. Visitors notice the difference. We would now like more destinations to receive rave reviews and exceed visitor expectations so we are excited to launch OTEC’s new online Tourism Excellence Ambassador program. After all, we all need more tourism champions in this world. For more information on OTEC's new online Tourism Excellence Ambassador program click here. Victoria Behune is OTEC’s President & CEO and a lifelong Tourism Ambassador. Soon, the City of Toronto and the many towns across Ontario will welcome tens of thousands of athletes, sports enthusiasts, tourists and the families and friends of athletes all taking part, in some way, in the 2015 Pan Am/Parapan Am Games. Even if you don’t like sports, or only watch them on TV every four years for the Olympics, never before will such a close–to-home event touch the lives of so many Torontonians and Ontarians for the months of July and August 2015. Because of this, everyone in the GTA and surrounding areas will have the opportunity to become a Tourism Ambassador for the Pan Am/Parapan Am Games. OTEC understands the importance of Tourism Ambassadors and has helped develop many Ambassadors in multiple destinations. Part of being an ambassador means that you are a proud promoter, supporter and advocate of whatever your cause is. Join the ranks of Taylor Swift and Jackie Chan. What does that famous pop star and action-superstar have in common? Both are official Tourism Ambassadors. For Taylor and Jackie, their cause is destination endorsement. How? Both are lending their faces, or their superstar statuses, to endorse their city and country of choice. Both want you to know that these destinations are superstar-worthy even though you don`t have to be a superstar to live there. You can just visit. Or stay for an extended period of time and get to know the person, place or thing that makes it so special. Can you match these Tourism Ambassadors to their place? Now, simply liking a place and telling a lot of people, doesn't necessarily qualify you as a Tourism Ambassador. More and more destinations are embracing formal Tourism Ambassador Certification training programs (like the one OTEC delivers) for their front-line service providers. These types of Tourism Ambassador Programs aim to enhance tourist experiences and improve tourism businesses and hospitality services. The program prepares Ambassadors with regional knowledge and ensures they have the know-how to provide memorable service experiences. OTEC's 60-minute online Tourism Excellence Ambassador training program provides a good foundation to these service providers and prepares them with regional tourism knowledge, customer service training and a competency quiz at the end of the 3 modules. Check out The Tourism Partnership of Niagara website and click on `Become a Niagara Ambassador`, for a sample of a program developed by OTEC. If you’re not yet lucky enough to work for a destination that makes Ambassador Training available, tell them how and where to find it (click on OTEC Tourism Ambassador). You’ll soon be in good company along with Taylor Swift and Hello Kitty. So, when you’re watching the Pan Am/Parapan Am Games this summer, remember, by delivering a positive experience to a tourist, you can create a lasting impression. The Canada-Ontario Job Grant –tried, tested and approved. OTEC has seen a steady increase in the number of clients not only interested in the Canada Ontario Job Grant (COJG) program but getting their applications approved in only a few weeks. This is great news for the small and medium-sized business owners, whose time is time is taken up running their operation, and have no time to train. Most companies agree that training is a critical component of maintaining a healthy workforce, but equally important is ensuring sustainability to compete in a marketplace facing volatility and other financial pressures. In a recent survey of over 800 businesses across Canada, 56% stated that they face immediate labour and/or skills shortages. 50% of respondents also noted that their workforce training budget will increase in the next three years. In 2014, the Canadian federal and provincial governments partnered to tackle this issue through government funded support. The Canada Ontario Job Grant was created to subsidize workforce development training focused on skills development and/or career advancement, covering up to 2/3 of eligible third party training costs. The six-year Canada Ontario Job Grant program provides up to 66% of eligible training costs in grant funding to a maximum of $10,000 per trainee. This is a scalable program that businesses can apply for throughout the year for any employees interested in training to support career advancement and skills development. Eligible trainers include third party training programs within Canada provided by a product vendor (such as OTEC), university, public college, registered private career college, or school board. While there has never been a better time to apply for COJG funding, OTEC has found that there is still a misunderstanding by many clients. My company is too small. Programs like this only benefit large companies. The size of the company is not a criteria for eligibility. Rather, the company (large or small) must follow the application process and apply on behalf of the trainees. Trainees can’t apply directly for funding. I don’t have the time to apply and it’s probably very confusing. Given the financial benefit for the organization’s training needs, the application is most definitely worth it and less confusing than you might think. Application turnaround time is approximately 1 month and sometimes less! I doubt my application would even get approved. The experience OTEC has with clients is that the process is very straight-forward. OTEC puts the employer in touch with the employment services provider (ESP) in their area and the ESP works directly with the employer to complete and submit the application. The benefit of this application process is that it is simple, easy and (relatively) quick. Our advice to any company: Don't Wait! Canada is growing as an international travel destination. Last summer Canada welcomed the highest number of international overnight visitors since 2000 for the month of June, and the number of visitors is only expected to rise as we approach the 2015 Pan Am/Para Pan Am games to be hosted throughout the GTA. For the service industry this is a HUGE bonus, however, with increased international visitors comes the challenge of cultural differences and adaptation. Our philosophy is simple, give people the tools they need to excel on their own, celebrate their success, and think long term. This has been the key to OTEC’s success in working with community partners across the province. It is one thing to be able to provide a service to a client and achieve the desired outcome, but it’s another, perhaps more sustainable approach, to build capacity among clients and partners to be able to deliver the service on their own. In the training world, this can be as simple as a Train-the-Trainer model. In OTEC’s world, this is our philosophical approach to community development and what we strive for in every relationship we have with community partners. Like any situation where there is a transfer of information, it’s critical to have a process to follow, to avoid ending up with a breakdown in communication. Like the broken telephone game, if information is just verbally passed on from one person to another, and to another, and then another, there is a strong likelihood that the end message will not be the same as the original message. OTEC operates with many different processes; however in OTEC’s new Community Development section of our recently revamped website you’ll find the image above. This is the overarching framework that guides our community development projects which starts with a level of involvement from OTEC and over time, this involvement decreases as the community partners’ involvement increases as they build capacity. The circular model outlines the consulting, instructional design, training delivery and evaluation process of a project from start to finish. At the beginning of every project OTEC’s team analyzes the partners’ goals and objectives through a needs assessment. From here, the training intervention is designed, ranging from single day workshops, to a full-time, 5 days a week, 10 week in-class training program. Program delivery is supported by OTEC through our Train-the-Trainer model and OTEC often coaches our partners’ teams as they launch and deliver the new program. The final stage, Evaluation & Dissemination of Best Practices, is a unique advantage. Through feedback from our partners, their clients and stakeholders, we adjust any touch point throughout the project that shows room for improvement and help to identify the ROI impacts of these improvements over time. As an organization with partners all across the province and counterparts in most of the provinces and territories, OTEC leverages the collective expertise of this network to continuously improve and share successes and lessons learned. Subsequently, with each delivery cycle, the resources attracted and community engagement expands as the successes and impacts are disseminated to the communities as a whole. It’s taken decades of pre-employment projects to fine tune our model and to transform into a well-oiled machine, however at the end of the day, it goes back to our philosophy and what we love to do, give people the tools they need to excel on their own, celebrate their success, and think long term. Check out some of our Community Development Project Partners and the great work that they are doing at: http://otec.org/Community-Development/Industry-Partnerships.aspx. Kim is OTEC’s Manager of Consulting Projects and Partnerships. She is responsible for developing and managing workforce training and consulting projects across Ontario. In her spare time Kim enjoys spending time with friends and family, exploring Toronto’s culinary scene, relaxing up North and cheering for the Buffalo Bills in support of her Buffalonian fiance. Everyone has brands they associate with or favour in a buying decision. Think about the various coffee shops in your area. Where do you go? What ideas or personas do you associate with your coffee shop of choice? If you were to meet a family member, close friend, first date or potential employer for coffee, would you go to the same place? Say you are in a meeting surrounded by strangers and you see one person drinking Tim Hortons cup, another Starbucks and someone with their own personal travel mug. What are your initial perceptions of these individuals? Do they differ based on their coffee choice? If you answered yes then you have been effectively reached by the company’s marketing and branding. Your brand image creates expectations. It defines your very core; who you are, how you operate, and how you're different from your competitors. It is a promise. One that must remain consistent and be kept. For the Business to Consumer Services industry branding is key. It is why customers come to you instead of your competition, and how you can ensure repeat visitors. Think about your own organization, destination, product or service. How would you describe its personality? Would everyone you talk to describe it the same? If not, then you need to think about how you are building your brand. So how can you build your brand? OTEC has worked with some of the leading corporate brands in a variety of sectors over the years. One consistent theme amongst these leaders is that, regardless of their success and reputation, they are continually investing in their brand in new ways. Some of the ways OTEC supports these clients and partners is through customer service mapping, consulting and strategy development, to help understand and plan all potential customer touch points. OTEC also develops customized, branded training programs that enhance these experiences and support the brand culture. Direction Ontario – OTEC worked with Direction to create their Bienvenue en Ontario brand and branded microsite and training program, Engaging the Francophone Visitor, to assist front line staff and tourism marketers to attract and service Francophone travelers. Tourism Partnership of Niagara (TPN) – Working with TPN, OTEC developed a tourism ambassador program, The Niagara Ambassador Program, to build service pride and passion for the destination by teaching front-line service providers how to take guests’ experiences to the next level. International Language Institute of Canada (ILAC) – OTEC worked with ILAC to develop tailored training to embody and reinforce their strong, internationally renowned brand within their organization. As you can see, even the most established brands in the market are constantly evaluating and investing in the channels through which they express themselves to their clients. Reinforcing your brand through branded training programs ensures your brand is part of your culture and all client interactions. Paula Lanza is OTEC's Coordinator of Marketing and Communications. In her role at OTEC Paula works on marketing and branding activities; including website and social media updates, professional communications, and promotional material to support the business development and brand goals of the organization. Paula enjoys learning about different cultures, traveling and trying new and delicious foods. Is Computer Use Really an Essential Skill? Think about yourself, how often do you interact with technology daily? If you think about our society, how it runs, and how we communicate, it’s largely based around information technology (computers). Do you have a smartphone? You may be surprised to learn that according to a 2013 study of the mobile market in Canada by Ipsos Reid, 47% of Canadians now report using a smartphone. Since smartphones perform many computer functions, this means that over half our population uses some form of a computer, making computer literacy an essential skill. The Government of Canada has actually identified the nine essential skills that are used in nearly every job and throughout daily life. These skills include reading, writing, document use, numeracy, computer use, thinking, oral communication, working with others and continuous learning. Are you surprised that computer use is now an essential skill? Technology is definitely changing the workplace. Although almost 1 in 2 Canadians use computer functions by means of a smartphone, there are still some employees who are not that comfortable with using computers whether at home or at work. Today, many hospitality organizations spend hundreds of dollars on IT solutions that they expect their employees can use to work more efficiently. From Housekeeping software for inventory management, to department store electronic cash registers, to handheld Point of Sale (POS) devices in restaurants, computer applications and devices in the workplace are here to stay. They are overall good for business and provide customers with faster service and decrease the possibility of human error. Think about the last time you went to a restaurant to have a meal. Would you have been surprised if the server told you they didn’t have the handheld payment device for you to use to pay for your check with your credit card at the table? Employees who do not use workplace based technology should be a concern for managers. If employees are not properly trained on using the technology or worse yet, lack the skill to use it, inefficiencies and negative effects on customer service could occur. A study by the Social Research and Demonstration Corporation (SRDC) and its partners found that firms earned a 23% rate of return on literacy and essential skills training investment. The findings also indicate that workplace Literacy and Essential Skills training have large positive impacts on workers’ skills, job performance, and a range of economic and social outcomes for employees. With Computer Use now an essential skill, employees who are trained on all nine essential skills can prove to be beneficial. Employees who are comfortable using technology are typically also comfortable utilizing other essential skills required to be successful using technology, such as reading text, document use or thinking. To attain a highly skilled workforce, employers can invest in essential skills training to keep employees on pace with ever changing workplace based technology and assist employees to feel more confident with using this technology. Learn more about OTEC Essential Skills training and how it can benefit you today. Ava-Dawn is OTEC’s Training Program Facilitator, responsible for assessing and delivering OTEC Essential Skills training and liaising with OTEC trainers and coordinating public and contract training program logistics provincially. She enjoys arts and crafts, baking and spending time with her growing family. No time to coach employees? In a fast-paced work environment, time-crunched leaders often feel they don’t have the time to proactively coach employees. Most often coaching effort is focussed on a small group of employees; those struggling employees with extremely low performance. A number of years ago, I read a Harvard Business Review article called Let’s Hear It for the B Players. Even though quite a lot of time has passed, the name of the article and some of the ideas I put into action after reading Let’s Hear It for the B Players have remained with me for over a decade! Like many leaders, I found that most of my time and energy was spent hiring and retaining high performing, superstar employees (A players) or coaching low performing employees (C players). However, research shows, and I’ve experienced this time and time again throughout my career, that the majority of employees, (70-80% of employees for most organizations) are capable, solid performers (B players). There are two types of coaching methods, informal and formal coaching. With informal coaching, leaders capitalize on opportunities to reward, encourage and improve employee skills during the course of normal, day-to-day business operations. Formal coaching is a planned and scheduled session that takes place away from the employee’s usual work setting (e.g. meeting room, office, offsite) and utilizes formal coaching tools and processes. To be an effective leader one must utilize both coaching methods for long term overall performance improvement. Regardless of the method used, coaching is most effective when the feedback is constructive, consistent and focussed on increasing awareness and performance improvement. So, instead of waiting for the traditional annual performance review, or focusing on coaching only when there is a concern about poor performance, or performance is at its peak; remember the power of focusing on the middle – the B team. This is the employee group where coaching can have the greatest impact on overall business results. It will be worth your time and effort. Learn more about becoming an effective coach. Wendy is OTEC’s Vice President, Client Services. She leads training and consulting projects on behalf of OTEC, including needs assessments, service strategy, program development, and standards and recognition programs. Outside Wendy enjoys reading and traveling, and can usually be found spending time with her family at their cottage or a social event. This past month I spent some time down at TIFF taking in some great movies and food with family and friends. The whole scene was buzzing; streets packed with people dressed to the nines, waiting in queues to see sought after films or overflowing the surrounding restaurants and bars... and it got me thinking about customer service. More specifically, service recovery. Big festivals literally put the businesses involved under the spotlight. After months of planning it’s finally crunch time for the hosts, but also for restaurants, attractions, and everyone else working the event. It could be really easy to let things slide, but your guests and customers have likely been looking forward to this and they are going to have really high expectations. Private Reception at Bell Lightbox Theatre Sept 15th, 2014 for those affected by ticket inventory glitch. Even my own TIFF experience didn’t get off to a stellar start this year. After years of taking in the festival’s most obscure (some people say “bold”) films, I finally managed to score tickets for four of us to one of the big world premieres with all of the associated red carpet buzz. As one does when they get their hands on hot TIFF tickets, I was just finishing telling some friends about how “I am kind of a big deal” when I got an email saying that a computer glitch had resulted in our film being oversold and we had no seats. Cue the outrage. I called TIFF and after I had calmed down enough to actually listen to what the folks at customer service were offering me, I picked another big premier from a block of seats being held for us. We had a great night out on the opening Friday of the festival, forgetting most of our frustrations over the mix up. At the end of opening weekend, we got word that TIFF would be hosting a special event at the end of the festival for those of us affected by the computer glitch. This was a nice touch because we had already been looked after and ended up having a great time. So last night, we were treated to a private cocktail reception at the Bell Lightbox Theatre and a screening of this year’s People’s Choice Award winner, The Imitation Game, with Benedict Cumberbatch.. .
a great film, by the way, that will probably see a lot of Oscar nominations. TIFF’s Artistic Director, Cameron Bailey even said a few words before the show. This is an example of pros in action. The Toronto International Film Festival attracts some 30,000 visitors to Toronto with an estimated $189 Million in economic impact. It is noticeably bigger and higher profile with every passing year, but despite the hype, the scale, and the demand for tickets, TIFF is still taking the time to invest in customer and patron loyalty. Going above and beyond for customers and guests with real consistency can be tough in the real world. Inevitably, any business will at some point find themselves short staffed, under resourced or dealing with circumstances beyond their control. These are the times when the pros really show up. It is in these moments of truth that we can turn a challenging situation, and a ticked-off customer, into an ambassador. To learn more about how you can develop your skills and become a Service pro like TIFF visit our training solutions page. Adam Morrison is OTEC's Director of Project Development. In his role at OTEC Adam works closely with a variety of sectors in workforce development and capacity building. In his spare time he enjoys exploring local festivals, renovating his home or relaxing by the lake. As President and CEO I am proud of the customer-centric team we have developed at OTEC and wanted to share the following blog by Paula, OTEC’s Marketing and Communications Coordinator. Earlier today I was eating lunch with my colleagues, discussing our weekends. As we were chatting, my one colleague brought up this horrendous story about going to the gas station and receiving THE WORST customer service complete with vulgar language and irrational harassment. Feeding off this topic the rest of us launched into our own customer service stories including the good, the bad and the ugly. In my last blog I explained how a front line professional was able to recover my business with excellent service. Now, I know that front line professionals do not have the power to always make things right, but when senior management turns a blind eye to a situation and then provides terrible customer service in front of their team, then we know we have a problem captain! During my stay at GTA hotel, it was the General Manager, who in fact, demonstrated an unforgivable lack of customer service skills. This is the sequence of events during a family event where various family members booked overnight accommodation. Several family members experienced loud music outside their rooms well into the late hours of the night. Despite trying several times to communicate with staff, they had challenges getting the music turned down, and off. On top of that I also experienced a terrible breakfast in the lobby the next morning. When we all registered our complaints the next morning to the front desk clerk the hotel General Manager walked by us a few times. Without stopping. The front desk staff indicated the Manager was busy, but when he walked by for the third time, we approached him about the concerns. He indicated he was too busy to speak to us, since he was in a meeting with an important customer. It turns out it was a building contractor. Not only did he not take a moment to resolve the situation, but he walked away! My family member later contacted him in writing. Again, he made a list of excuses about the brand, his busyness and the fact that if we don’t like what the new brand represents, we can go elsewhere. This situation should never have escalated as it did. This senior manager did not lead by example and did not recognize the opportunity to turn a poor customer service situation into a positive one by valuing the customer in front of him and following up properly. Regardless of the brand standards, customer feedback is imperative if a “new” brand is to survive. If businesses don’t take feedback to heart, they will soon learn what the market will bear. I too sent a personal message to the General Manager about my negative experience and I also completed a follow-up questionnaire. I never even got a response to my email by the General Manager, nor a response to my comments in the follow up survey. I am still dumbfounded to this day and as a senior executive in the hospitality industry, the fact he didn’t follow up to me, makes me wonder how others fare. This service situation was made worse by a manager who obviously lacked the basics of customer service, service recovery, or coaching skills to ensure they lead a customer centric business. Not only do they not mentor and coach their teams, but they don’t walk the talk and dropped the ball when it counted. It is unfortunate that when they do their business plans and budgets they just might be missing their customers. In order to foster a culture of service excellence, managers need to understand how to lead by example. OTEC’s Building a Culture of Service Excellence Management Program can provide you with the skills and tools to create a positive service vision and culture for business success. In order to maximize customer loyalty one must develop an organizational culture based on consistent service standards and strong leadership. For years I have been a longstanding and loyal customer of a quality skin care line, sold at select Canadian department stores. So when it came to buying gifts, or personal pampering, naturally I gravitated towards a product I knew and trusted. My unique experience with the product began when I purchased three certificates for facials and booked my first of the three appointments. Prior to the date of my first scheduled appointment, my appointment was cancelled by the service provider and rescheduled for a later date. Then a couple days before the rescheduled appointment, I was left a voice mail cancelling my rescheduled appointment and was informed someone would get back to me to re-reschedule. I waited. No call came. After weeks of trying, I finally connected with a Department Manager who assured me she would follow-up about another appointment. When that didn’t happen, I connected again and was assured she would contact me for an appointment and that the counter was closing in a couple of months. Of course I was anxious to get my first of three appointments done while the service was available. That was about 10 months ago! I have still had no communication, apology for the inconvenience, no attempt to make this right for me, and no attempt to book my three appointments for facials. This not only happened to me but to a colleague who also had the misfortune to purchase similar gift certificates. As customer service oriented professionals I was dismayed by what happened to us. Out of frustration, and because I now knew the counter was closing with no one attempting to provide me with an alternative solution, I decided to drop in at another location and see what they could do for me. The service provider there listened and promised to check into things on my behalf. Unfortunately, I don’t think she got any response or direction from management either, nor did anyone assist her in resolving my situation. Now this is where a customer-centric employee can save it for a company…..as fortunately, she believed me and provided me with the services I purchased, even though the records remained at another store. This pleasant and client-focused service clerk provided me with a complimentary facial to ensure I liked her, and then booked my three facials. She also gave me a gift for my inconvenience and for sticking with the brand and that department store. She did everything in her power to make me feel valued. As someone with a VIP card, I was angered by the lack of communication by management and also the skin care company management. The fact they would just leave their customers hanging when they decided to close a counter at one of the stores, when clients have pre-paid for services, demonstrates a lack of policies, processes and leadership. If it wasn’t for this service professional who went above and beyond to correct the mistakes of her bosses, I would not be back, and I would not be continuing with that product. Although the organization and management set the stage for an individual’s service experience, it is the front-line service provider who ultimately provides the excellent customer service. It is they who interact with the customer and they who have the ability to create memorable service experiences resulting in customer loyalty. To train and empower your front-line staff with the skills and tools to consistently provide similar unforgettable service experiences check-out OTEC’s Service Excellence Workshop. Although February may be the shortest month of the year it is one of great importance to many in the service sector. With the holidays over and the decorations long put away (hopefully), most businesses are starting to think about business plans, budgets and capitalizing on the coming busy summer season. Thoughts are also turning to the challenge of attracting and retaining new customers and growing revenues. Many are canny enough to understand that excellent customer service practices are essential to getting results, but many are still getting it wrong. In a previous blog, I wrote about companies that developed processes, or empowered staff to provide excellent levels of service. More recently, I have also encountered companies, who in the last few months have failed miserably. As such, we’ve decided to make our end of winter focus Service Excellence – how to provide it, how to ensure it’s engrained in your culture, and how to effectively overcome difficult service situations. Stay tuned as I chronicle my journey through my service trilogy.